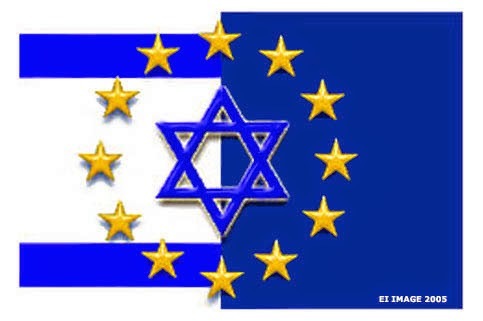 Wayki Wayki Blog: EU Elections.....how very odd. In 2008 I wrote about how the EU was originally created as an unelected government, and how the idea was first conceived in 1940. 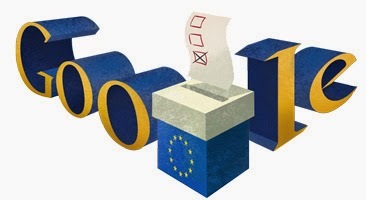 But now in 2014 the media hype has ensured EU elections are now a big thing. Even Google are helping promote it. So, 751 MEP parliament seats to represent 505 million people from different cultures, climates, histories, and languages. That works out to one MEP parliament seat for each 665,961 persons....heheh. And not one of those seats will goto anyone with a policy against central banks or capitalistic mega-corps. I would say at a rough guess around 100 million out of the 505 million in Europe would vote against central banks and mega-corps, but they will not be represented. Imagine a meeting with all 751 MEPs present - Imagine if they all had just one minute to speak on a single issue. It would take over 12 hours......and imagine the buffet costs! And how would each of these 751 MEP's talk to the people in their region - given on average there is over 650k people in each? This is all creating more crazy and dangerous centralisation, and the media are pushing it, and the people seem to love it. "If we are not in the EU we would be left behind." "If we are not in the EU our economy would suffer." "If we are not in the EU our freedom of travel would suffer." "If you want out of the EU you are a racist." "If you vote for UKIP you are right wing, but I am voting for a 'pro-EU super state' party, with closed borders and its full allegiance to NATO." "I would like to see a 'United States of Europe' much like the USA." 1) Londons' Bank of England (Central Bank) and Hedge Funds are MUCH more powerful than the ECB and European Hedge Funds. 2) The pound is stronger than the Euro, and always has been. 3) The top 20 corps in the FTSE100 are worth more than most of the EU nations states themselves. 4) The only reason the economy might suffer is because mega-corps can currently franchise in European nations a little easier (e.g Vodafone) - creating mega-monopolies. 5) Before the UK joined the EU nobody needed visa's to goto Spain etc. 6) You pay for each of the 751 MEP's £78,000 salaries, and you really won't believe their expenses allowance. 7) The UK is geographically in Europe, and little can change that. 8) The EU's ECB and IMF want more cheap workers (more member states) so they can convert human energy into private money. Also this is very strange. An MEP in te UK covers a large area, and in this area exist many "nationally elected" MPs - most probably containing MPs from different parties to the MEP. What if and when they disagree or clash? As we have seen in recent times, the EU wins these disagreements nearly every time. Anyone voting for more corrupt centralisation of power will have their childrens' children to answer to. Funny isn't it - we can all text vote on X-factor in our millions, but not on laws, policies, wars, or current issues. 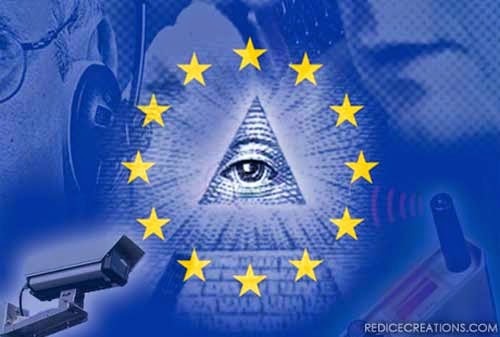 But we are told this corrupt EU mass centralisation gig is democracy. Try speaking to your local MEP and see if he has time for you amidst his 650,000 other people. If humans cannot see local decisions with local people is more harmonic and natural, maybe they deserve their coming servitude? 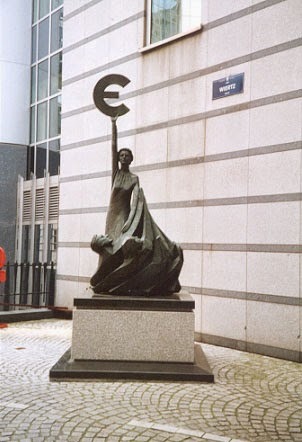 "The fusion of economic functions would compel nations to fuse their sovereignty into that of a single European State" Jean Monnet, French politician and a founding father of the EU, 3rd April 1952. "When a parent raises a child, the parent knows they've done a good job when the child grows independent, self-educating, psychologically-balanced, and self-sufficient. Eventually, the child should no longer need the parent. Society should behave much the same way, but it's actually going backwards. Look at the majority track record of Government: Government promotes social ignorance, lies, fraudulent economics, violence, abuse, conformity, and consumer dependence in order to retain power, instead of EMPOWERING the people. It breaks the legs of the people and merits itself a "humanitarian" by selling crutches. ps onto sports news......go bulls!